Owning and running a small practice is no joke. It means a workload like no other. It can mean a lot of sleepless nights, endless work days, and skipping family trips on the weekend. Running a practice can take over your entire life and change almost every aspect of your routine. So, how do you make sure every aspect of your business is getting the attention it needs and deserves? How do you scale and generate profits with your practice while doing the minimal amount of work? The aim of marketing automation is very straightforward: automate as many parts of the process as possible to allow you to spend less time on your marketing, and more time doing what you do best – helping people. 2. Click to check the box next to the campaign, ad set or ad you’d like to apply a rule to. 3. Click Create Rule. A new window appears where you can set up your rule. The first rule that I recommend, is creating a rule that focuses on increasing your bids and budget when your cost per conversion is low. When cheap sales are coming in, you need to capitalise! For the condition, select “Cost Per Result” as your trigger. Cost per result is essentially cost per conversion. Next, set the dollar amount as your bottom line for the given conversion. For example, if you are promoting a treatment/procedure, what is the cost that you are willing to pay for that lead? If it’s $100, set your dollar amount to less than your product’s price point. For your action, be sure to select “Increase daily budget by” and then type in 25%. When the cost per result (cost per conversion) is smaller than (bottom line), increase my daily budget by 15%. This is my favorite rule for generating tons of cheap sales. Another great rule to incorporate is pausing ad sets that are wasting your budget. When you are getting tons of clicks and traffic, but no conversions, you’ll quickly notice your budget depleting without any return on investment. When your conversion costs are too high, simply turn off your ad sets. Lastly, you need to set up a rule for frequency. It’s one of the best automation tactics to make sure your budget stays consistent and your ROI constant. The more a user sees your ads, the less likely they are to click, and at some point will tune out completely. Simultaneously though, your costs will rise. 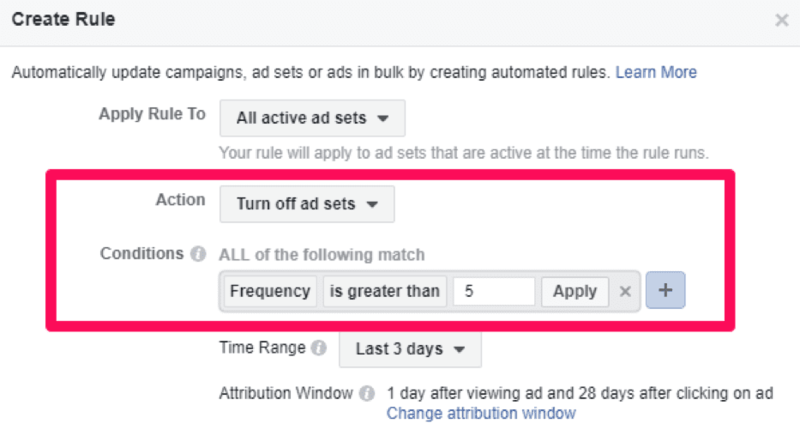 This will trigger your ad sets to turn off once frequency levels get too high. Try using these rules to keep you from spending too much time on Facebook Ads. Automate your advertising plan and find new levels of growth. If you use a specific CRM or email platform, Zapier likely has an available integration. First, a new contact will fill out your lead-based ad on Facebook. For example, someone giving you their email address in exchange for some content. Next, Zapier will take that form’s content and format it to your selected email campaign platform or CRM. Lastly, it will import those new contacts directly into your tool! It saves you countless hours of time and tedious effort. 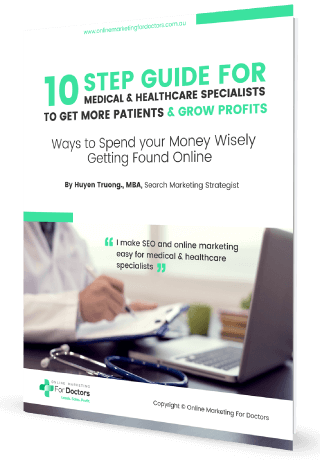 Steve – Welcome to another episode of Online Marketing For Doctors podcast, we are your hosts Huyen Truong and Steven Tait and today we are going to talk about 5 Marketing Tips That’ll Help Busy Practice Owners Automate and Scale Their Business. Now, owning and running a small practice is no joke. It means a workload like none other. It can mean a lot of sleepless nights, endless work days, and skipping family trips on the weekend. Running a practice can take over your entire life and change almost every aspect of your routine. So, how do you make sure every aspect of your business is getting the attention it needs and deserves? How do you scale and generate profits with your practice while doing the minimal amount of work? Huyen – I think the aim of marketing automation is very straightforward: automate as many parts of the process as possible to allow you to spend less time on your marketing, and more time doing what you do best—helping people. And if you get it done right, you can save hours upon hours every single week that you can then dedicate to business growth. So let’s take a look at how we can save you some precious time. Here are five marketing tips for busy practice owners to automate and scale their business. Steve – First of all you need to outsource menial tasks! There are jobs you just don’t have time for, and you know it. Social media, web design and maintenance, search engine optimisation, Facebook ads, Google Adwords… the list seems endless. It’s all too easy to fall into the trap of trying to do everything on your own, and finding yourself constantly running behind. The secret? You might be an entrepreneur but it’s not your job to personally handle every part of the business. It’s your job to have a dream and determine the best possible way to achieve it: to work less, but do more. 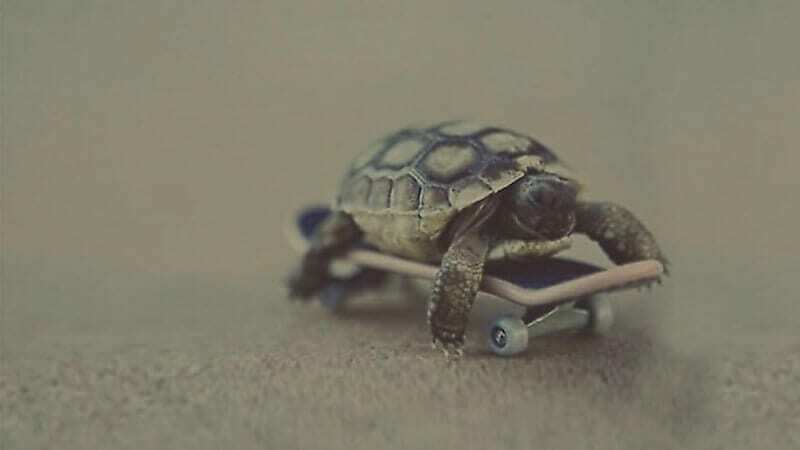 To work smarter, not harder. Can I remove myself from this task? Can I delegate it to someone who can do a better, faster, and more efficient job than me? As an entrepreneur myself, I’ve used these questions countless times to help myself reimagine my business processes: as a result, it’s very clear to me that only about 20% of my current work is similar to what I used to do years ago. Delegation has enabled me to step away from menial tasks and move into different roles. Now I have the time to work on strategic level projects. I focus on business development, pursuing different revenue streams, content production, and client retention and management instead of wasting my time on every small item that crops up in the day to day of running a business. In our recent podcast number 11, we talked about How to Buy Back Your Time so You Can Scale Your Practice Up, where we take you behind the scenes of one of the most powerful productivity concepts I’ve learned as a business owner: buying back your time in both your work and personal lives, so please check it out, we leave the link to this episode in our show note. So… What tasks you don’t have the time or the skills to do yourself? Outsource them! Save yourself time and energy to grow your business. 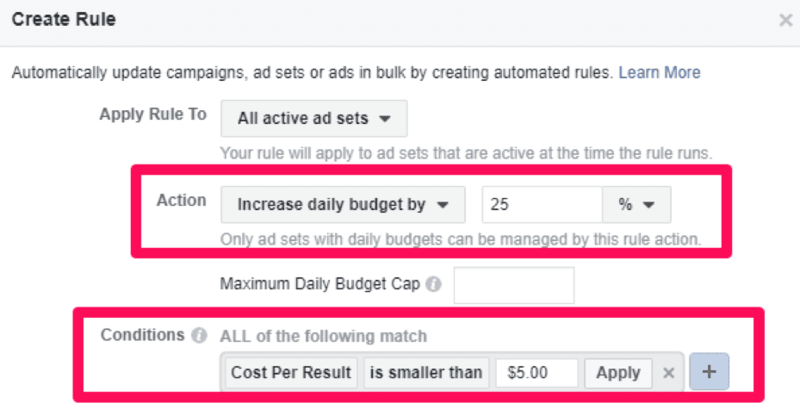 Facebook can take your business to the next level by using Facebook’s Rules to automate your ads and spend less time checking analytics. With a nearly limitless amount of features, metrics, and targeting options, Facebook has become a dominant force for online advertising. I personally love the remarketing campaigns that Facebook allows you to run. You can target audience via email list, website visitors and similar audience to those as well. But it’s also no secret that advertising on Facebook is tough. According to Inc. Magazine, 62% of businesses that advertise on the platform say that it simply doesn’t work for them. Huyen – Well, Facebook Ads can take some serious time to set up, monitor, and adjust to best meet your needs. If you use the platform a lot, you probably have spent lots of time making sure your budgets aren’t going out of control. When you log in to the Facebook Business Manager, you instantly see dozens of metrics that you need to closely monitor. Your ads could change at any moment. Click-through rates could be dropping and costs could be increasing. How do you monitor and make changes without spending your entire day on the platform? Steve – Well, automation to the rescue again. 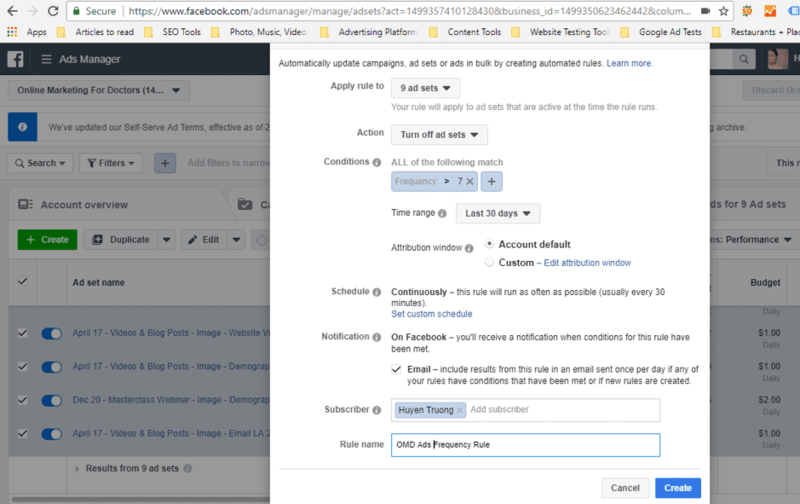 Thanks to Facebook’s rules, you can automate nearly any aspect of your Facebook campaigns. Let’s say your cost per conversion on Facebook Ads is lower than normal. Wouldn’t you want to raise your budget to keep those cheap conversions flooding in? Of course you would. But when you’re strapped for time, you can’t always do it or stay on top of it. Huyen – Now, we will show you our top 3 automation rules on Facebook to scale your Facebook Ads and find better profits. The first rule that I recommend is creating focuses on increasing your bids and budget when your cost per conversion is low. When cheap leads are coming in, you need to capitalize! Next, you need set the dollar amount as your bottom line for a given conversion. For example, if you are promoting a treatment, what is the price or cost per lead that you are willing to invest? The final rule will read as: When the cost per result (cost per conversion) is smaller than (bottom line number), increase my daily budget by 25%. This is my favourite rule for generating tons of cheap leads. Steve – Lastly, you need to set up a rule for frequency. It’s one of the best automation tactics to make sure your budget stays consistent and your ROI constant. The more frequent a user sees your ads the less likely they are to click. Simultaneously, your costs will rise. We share the details of how to set up these rules step by step in our show note below if you are interested in learning how to do it yourself, or send this guide to your Facebook Ads manager or agency. Huyen – Any successful practice needs a good lead generation system, you might have heard about this term “lead gen” multiple times and many of you might not know what it is. In general, “lead generation” is the process of identifying and cultivating potential customers for a business’s products or services. For medical and health care practices, lead gen is the process of identifying and acquiring new patients through the referral building, new patient acquisition campaigns or existing patients’ word of mouth. This process can be time consuming, especially when it comes to the healthcare industry, it is all about “trust” business, “know – like – trust” are 3 factors that influence purchasing decisions. So how can you shorten the gap between these 3 fundamental elements of the user buying behaviour? Steve – I think when it comes to medical marketing, it has to do with education, the more information the prospective patients know about the procedure or the skills you offer the easier it is for them to make decisions. And the best way to address this is via a webinar. Webinars provide a great way to connect with both your potential patients and referring doctors on a more personal level. Your passion for healthcare and your interest in sharing your knowledge will help create meaningful intimate connections and build trust in you and your practice. 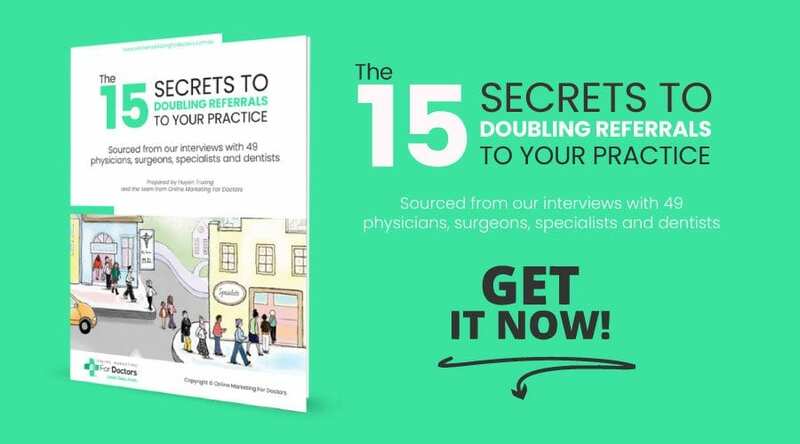 This allows you to attract potential patients and referring doctors, building rapport, engaging their interest, and gaining their trust… all without needing to meet them in person. Unlike the challenges of live seminars, webinars provide vital flexibility for a time-poor professional community. Since they can be pre-recorded, webinars not only save you time but also benefit your audience, who can now watch your webinar when it suits their schedule. Huyen – Ahh so true! As you can see, webinars are an incredibly powerful way to create an authoritative and trustworthy brand for you and your practice, establishing you as a trusted source for primary care physicians to refer their patients to and scale your referral base fast. The course teaches you how to generate new patients and referrals on auto pilot: once it’s up and running, there’s no further work required on your part for a while. This is a brilliant way of systemising your marketing, keeping in consistent contact with your referral network, and leveraging your time, all while growing your practice. If you’d like to learn more about this course, check out the link in the show notes below to hear from us when the course is released! If you run AdWords, SEO or Facebook ads campaigns that are designed to get prospects to sign up for your offers or enquire about them, once you’ve generated that lead, what’s your next step? Do you take those leads, and upload them into your CRM (Customer Relationship Management) or your practice management software? Or do you put them into your email campaign platform to follow up these leads? If you take those manual steps, you are spending valuable time that could be better used for growing your practice. So why not keep the automation going and save yourself some time? Huyen – For example; if you drive traffic through Google AdWords, SEO to your campaign landing page, have a web form generated by your email marketing software on your website’s landing page, and once users fill out that form successfully, it will trigger a follow up campaign including a sequence of emails and phone calls. In addition to follow up emails, part of the follow up sequence, you can schedule an email to be sent to your front desk staff and reminding him or her to call the prospect one or two days after the prospect signs up for the offer. Steve – If you run Facebook ads, you might have heard about Facebook lead ads, if not, you definitely should check it out. Lead ads forms are highly customisable so you can collect all the information that is important to your business. When someone taps on your ads, they’ll instantly see a form that is pre-populated with info they’ve shared with Facebook like email addresses or phone numbers which makes the form filling process quick and accurate, though users can also edit their info before tapping the “submit” button. With a smart phone friendly form, they can fill out this out wherever they are. Huyen – Once you generate leads from Facebook lead ads, with tools like Zapier and IFTTT, you can automate almost anything. I love to automate Facebook Lead Ads with Zapier because it allows me to send those leads directly to a pre-established email campaign! I don’t have to download my leads from Facebook, format the file, upload it into Drip, MailChimp or any other email marketing software, create a new campaign, and then monitor it. Instead, I can set up a “Zap” using Zapier to do all of this automatically. Once you’ve set this up, you don’t have to worry about downloading and uploading lists anymore. You can sit back and watch your Drip, MailChimp or your CRM fill with new leads from your campaigns. In our show notes below are step by step details on how to integrate Facebook lead ads with your email marketing software, so please check it out if you are keen to learn more about this. Most practices automate emails, like confirmation emails sent after a booking. But there are some other less common emails that you can automate, like welcome emails, that can be just as time saving. Welcome emails can be triggered multiple ways, by a new contact joining your email list via an ebook or guide download, or a webinar, newsletter or after they make an enquiry through the website. You should also set up an autoresponder. Past research has shown that subscribers are most engaged during the first 48 hours of signing up for an email list. You can use a tool like Drip or Infusionsoft, Hubspot, Active Campaigm to set up an autoresponder. Huyen – For example, once a new patient has come on board, you can automate a brief welcome email to arrive in their inbox automatically, and then send a series of emails to provide the patient all the necessary information prior to a treatment. For example: an email on frequently asked questions and answers, or things to prepare for the treatment and what to do after the treatment. All the monthly or yearly follow up emails for review consultations or check-ups can be scheduled in advance too. This can all be done with the help of an autoresponder that will send emails according to a subscriber’s behaviour. For example, if the first email is opened, the second might be sent the next day. If it goes unopened, the series stops. Steve – Well, busy business owners are constantly strapped for time. You’re trying to find new sales, leads, and prospects, and on top of that, you’ve got marketing analytics to monitor, blog posts to write, a website to optimise, and social media to schedule. It’s almost impossible not to get bogged down in the daily grind. So you have to find ways to simplify and streamline. And that means automation. Automating processes is one of the best ways to become a “lazy” marketer while still bringing in profit. Busy practice owners need to find new ways to automate time-consuming processes to scale and grow fast. So, what are your favourite “lazy” marketing tips to automate your business and find new growth? Huyen If you want to listen to any particular topics, please fill out a 1 min survey that we put the link in the show note so we can produce relevant podcasts for you. If you want to be our show guest, wow! that is even better, email us and let us know what topics you would like to talk about. Steve – Yeah, getting involved would be wonderful. This is the first podcast channel in Australia about medical marketing and we aspire to make this channel a world-leading channel for the healthcare professional community.